Now that you have been introduced to the Palestinian and leftist Jewish groups who have merged with state and local social justice warriors, it should be clear the agenda really isn’t just to hold law enforcement accountable, nor is it an attempt to reform the criminal justice system. It’s all about dismantling police,”intersectionality”, illegal immigration, antisemitism, and a general hatred for America. In this article we will focus on Nashville Tennessee, however, the same events are taking place in cities across America. 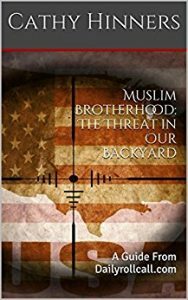 The objective is for you to be able to identify these groups in your area, expose them, and shut them down. So why should the people of Nashville and Davidson County Tennessee care about these groups? Because your safety and security is at risk by the creation of a Community Oversight Board, whose coalition consists of members of groups looking to destroy and dismantle not only police, but the criminal justice system. 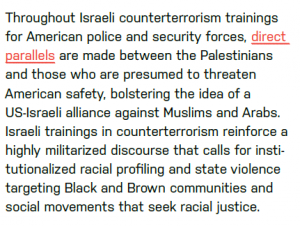 The sole purpose of these groups is to parallel the injustices occurring to Palestinians who are at war with Israel thousands of miles away, with “people of color” in the United States, by insinuating if American law enforcement continues to “train” with Israeli police more of their community members will die. Riling communities that are already disenfranchised, and disgruntled with the criminal justice system, suggesting any police departments that have trained with Israeli law enforcement are prone to killing more members of their community is a dangerous falsehood and should not be tolerated or accepted. The Nashville Community Oversight Board is rife with organizations that are radical, and anti-police, who in no way will be able to fair and unbiased. Residents of Nashville and Davidson County must not be swayed by the mere sound of a oversight board, but must understand its true strategy. The falsehoods presented by organizations behind the scenes is one that is dangerous and misleading. While many believe the formation of an oversight board is necessary, starting from scratch to incorporate civilians who can truly help their communities is a must. ← Previous Previous post: “Women’s Movement” Leader Islamist Linda Sarsour is a Fraud.